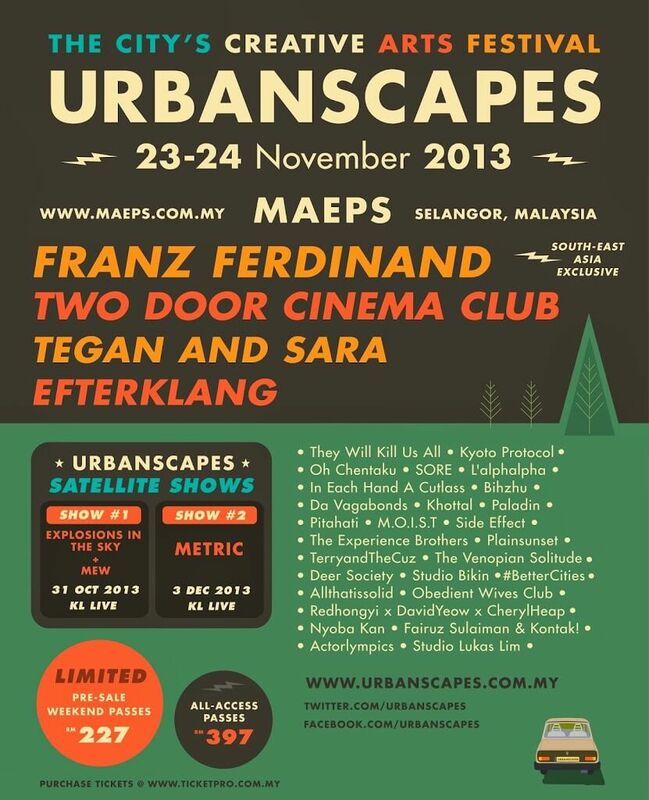 Urbanscapes 2013 is proud to announce new additions to its already massive Big Weekend of creative arts, music and community this 23 and 24 November at the Malaysian Agro Exposition Park Serdang. 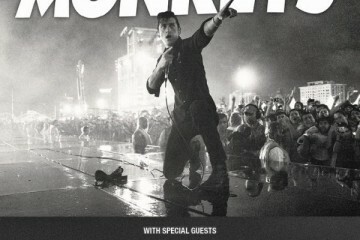 Two Door Cinema Club, and Tegan and Sara are Australian indie rockers Last Dinosaurs, Aussie audio-visual group The Wires and UK a capella ensemble Black Voices. 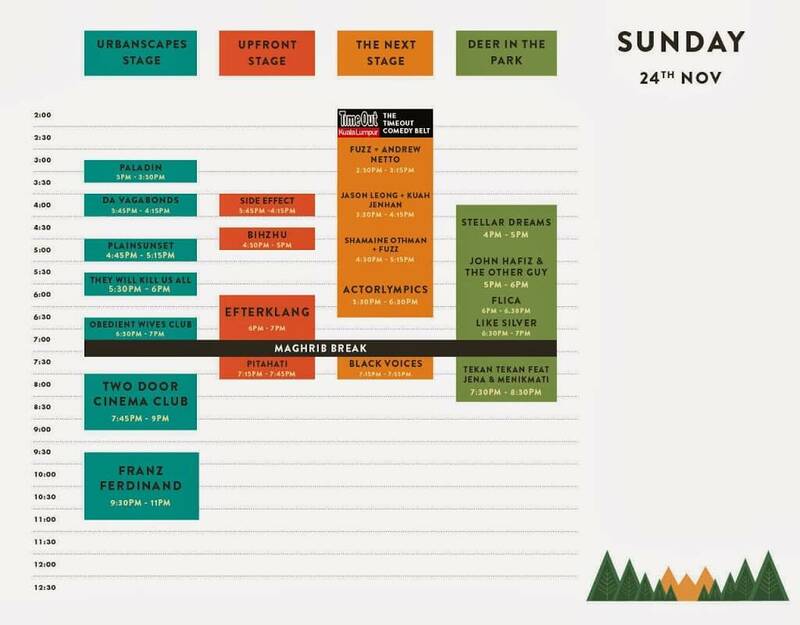 On the local front, there’s singer-songwriter Asmidar as well as a specially presented show by The Wknd Sessions featuring scene veterans Damn Dirty Apes and Nice Stupid Playground. Add to that some improv comedy by the likes of Patrick Teoh and Afdlin Shauki for Actorlympics, a Real Horror Show by Kult from Singapore and an eye-opening installation by Market of Experiences, and it’s sure to be a Big Weekend to remember! 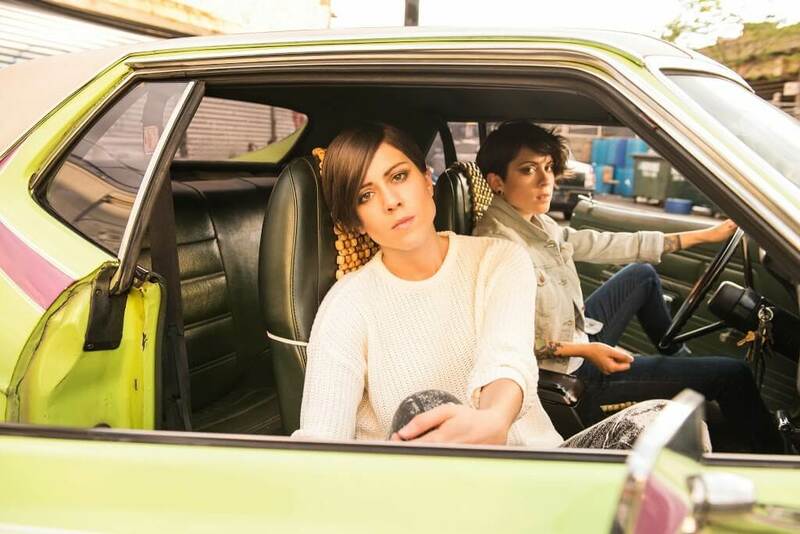 Tegan and Sara’s 13-year career has seen them build an avid global following of fans and fellow musicians alike. 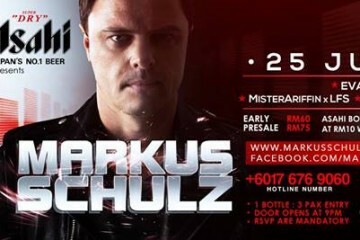 Their unique ability to bridge the pop and indie worlds has allowed their music to cross all traditional boundaries of genre, from being covered by The White Stripes to collaborating with superstar DJs such as Tiesto and David Guetta. 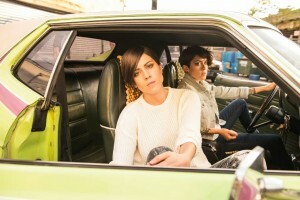 Having sold nearly 1 million career albums and toured with acts from The Killers to Neil Young, Tegan and Sara have now released their 7th studio album – Heartthrob – as internationally-celebrated songwriters, performers, and artists. The key to any festival is in building experiences that are unique to you and your friends. 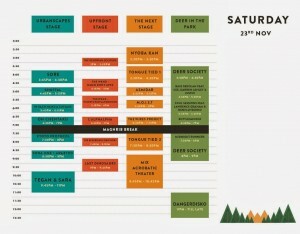 Set amongst 12 acres of lawns, hills and gardens, this year The Big Weekend is all about creative exploration. 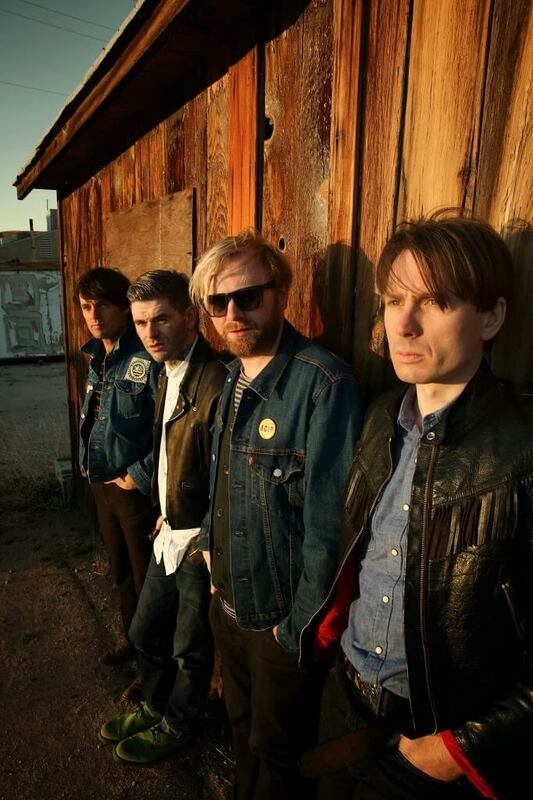 Music heads may want to stake out prime position at The Commons to watch big names like Franz Ferdinand, They Will Kill Us All and Kyoto Protocol. 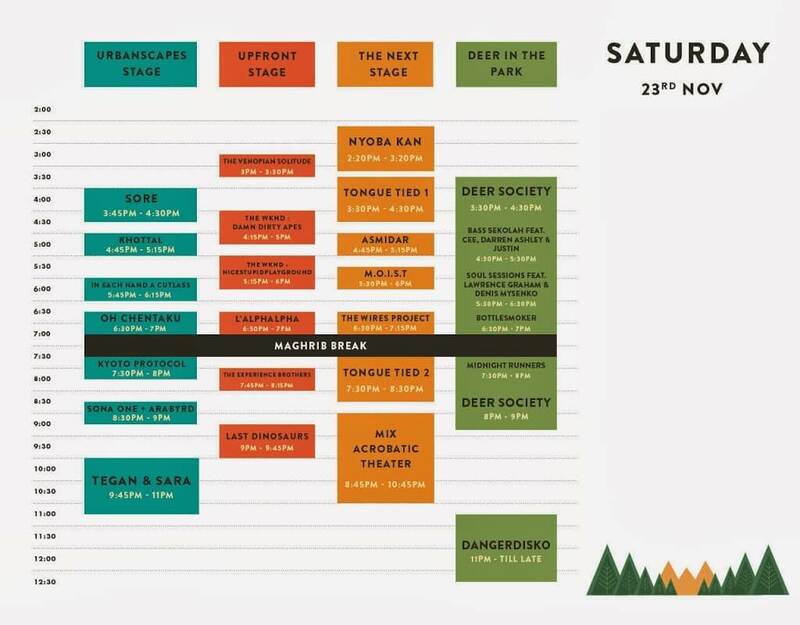 Others will be more at home in The Field, getting groovy with Deer Society, laughing along with the Time Out Comedy Club and enjoying fun and interactive arts sessions from Kakiseni, Curasian, TerryandTheCuz and more. Lose yourself in the moment in The Woods, where some of our more experimental and crowd-participatory acts will be coming out to play amongst the shade of this tree-lined hill. The Venopian Solitude, Bihzhu and M.O.I.S.T. are among the eclectic music acts performing in this imaginative wilderness and they will be joined by workshop and installation pieces by The Wires, Studio Bikin and our exclusive Market of Experiences. And for our most ‘out there’ musical experiences head over to The End of the Road where you’ll find the Upfront Stage and a list of mind-boggling acts that includes the truly jaw-dropping Slamboree who mix breakbeat, dubstep, drum and bass and dub with Balkan, folk and gypsy music to an accompaniment of pyrotechnics and circus sideshows. 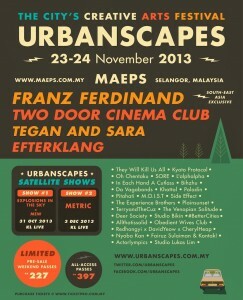 But the real point is, with over 100 artists and vendors appearing across the weekend, everyone who comes to Urbanscapes will experience a Big Weekend that is unique, unrepeatable and truly customized around their own choices. 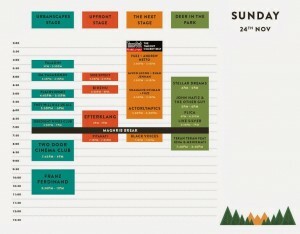 Age: We operate an all-ages festival policy. Children under 12 years old enterfree of charge but must be accompanied by an adult.